It is a very rare thing for me to be in a situation where I do not have scrap wood of all shapes and sizes at my finger tips. In fact, I could probably open a scrap wood lumber store from my back yard. #sadtruth or should I say #hoardingtruth... #happytruth? 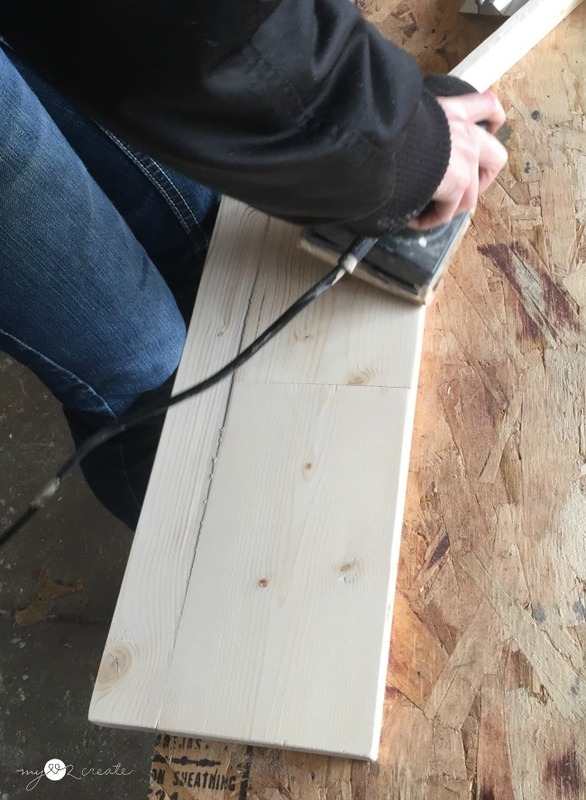 Regardless, I found myself in this very odd situation last spring, which leads to what I am sharing with you today, how to piece scraps to make a sign. A personal touch is just what my Sister's Baking Center needed. 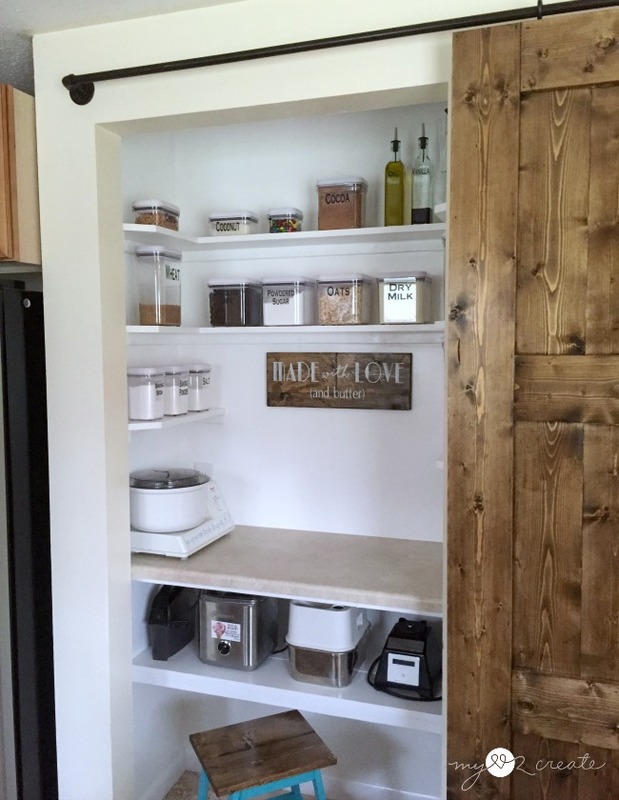 I went to Iowa last spring to help her convert her pantry into this amazing baking center, and it was so much fun! My sister does not have a scrap wood pile. The only wood she had was the wood we bought for this project. 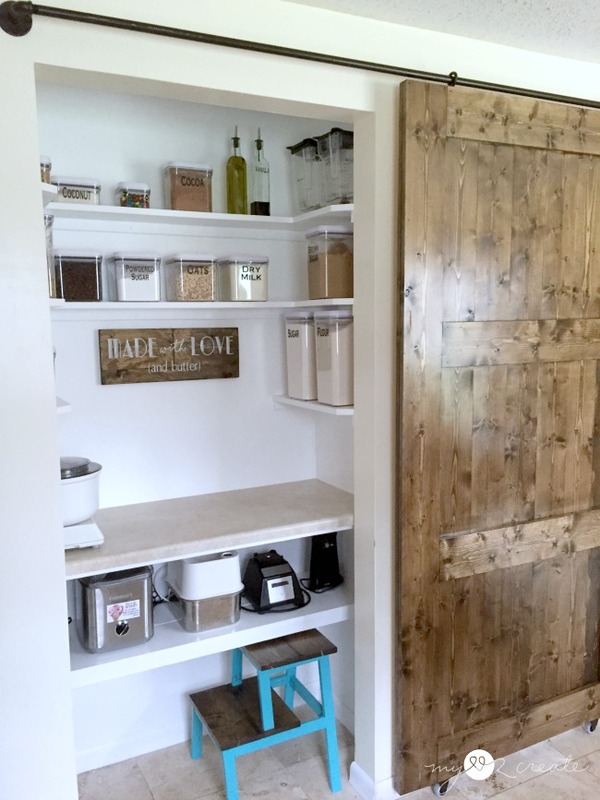 See that barn door that I still need to write a tutorial on on the right? I had two small scrap pieces of wood left over from building it. And that cute stool at the bottom? crap, and I need to write up plans for that too I had a scrap piece left over from that...wait. Actually, as the cobwebs are clearing out, the stool was built from scraps as well, so I guess technically the scraps I had were double scraps, which were left over from building the stool, from scraps... did you follow that? Good. I didn't either. What I mean to say is... after finishing the baking center, this is all I had left. I still needed a sign, that was a decent size, and none of these pieces were big enough. So I decided to modify them to fit my needs, since our budget was spent, I had to get creative. After staring at the scraps for a minute which was totally boring because they didn't do anything I realized that if I put the two 1x6 boards together it gave me a good length, and by adding the 1x2 on the bottom I could get a good height. Perfect! 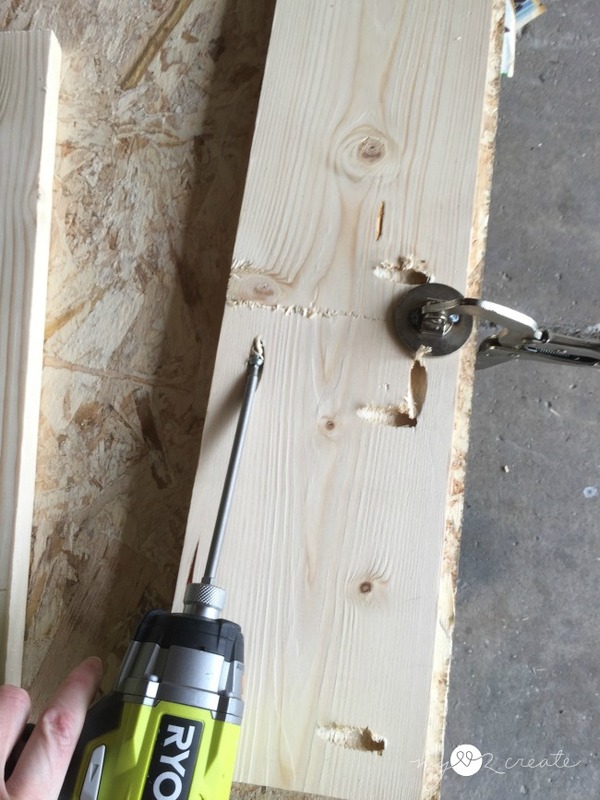 So I busted out my Kreg K5 Pocket-Hole Jig and drilled 3/4'' pocket holes. I glued and clamped them, then zipped in my 1 1/4'' pocket hole screws. Then I repeated with the 1x2 on the bottom. 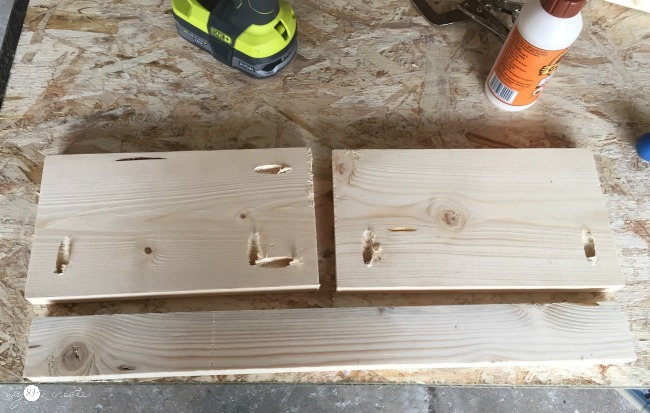 My lovely sister did the sanding and you can see the 1x2 was a little warped. Hey, it is allllll good, no project is perfect and I have learned to embrace the imperfections. It makes me and my project happy, cause I am not perfect either. The stencil was cut out on the Cricut Explore One Cutting Machine using contact paper, and then we used it to paint the sign. 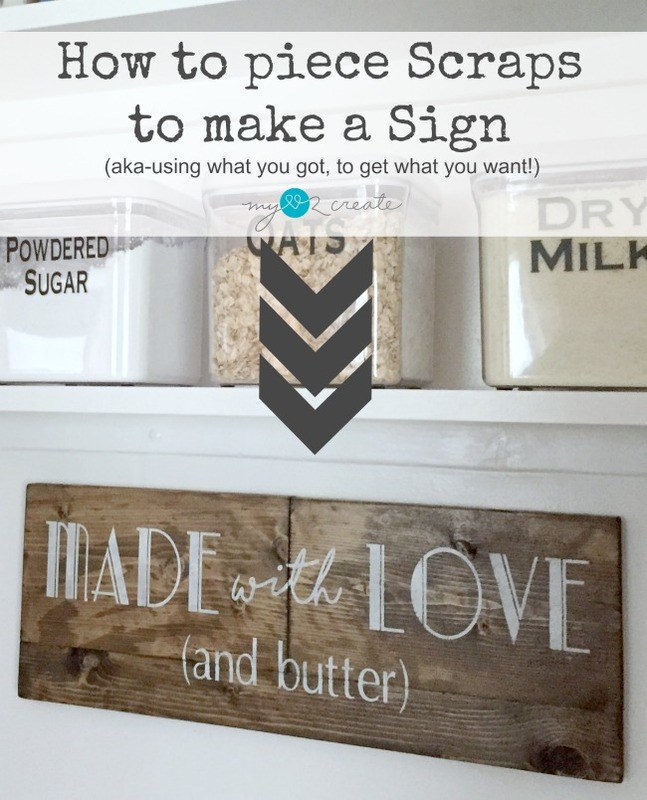 If you want more details on how I do this check out my How to Make your own Signs post, it has lots of great tips and other methods if you don't have a cutting machine! And there you have it! Rock what you got people! Sometimes the most creative ideas come from forcing yourself to use what you have. 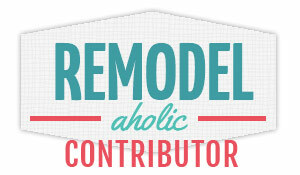 I know this project is not a particularly amazing idea, but it is still a true principle. So what are you waiting for? Get out there and modify what you have to fit your needs, get creative and go for it! 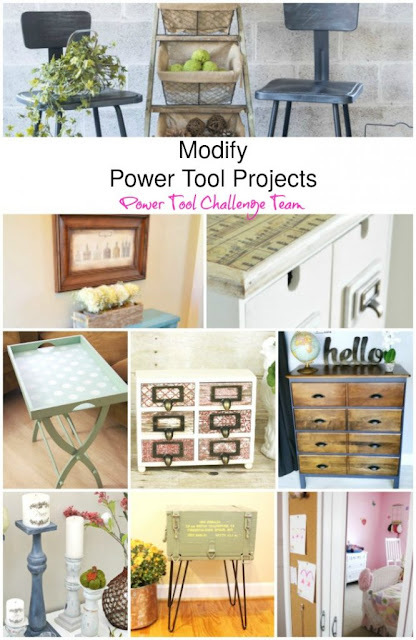 Also as party of this month's Power Team Challenge check out all these awesome projects that have been Modified! And trust me these ones are super cool!!! 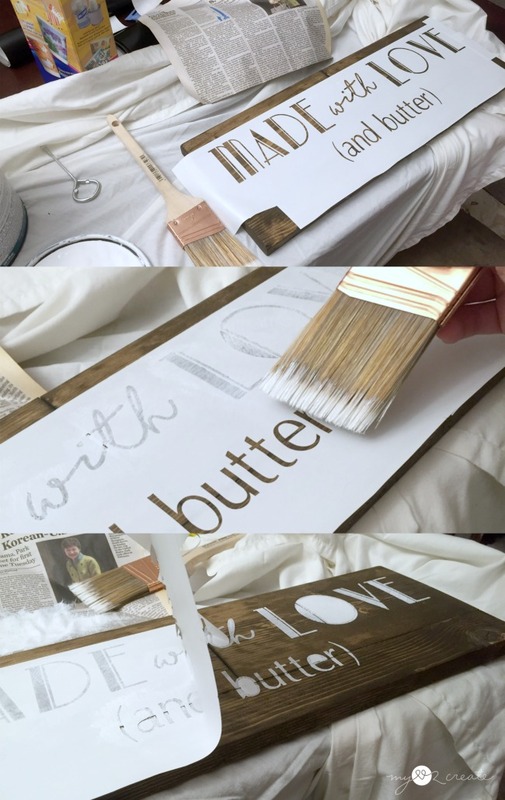 Such a CUTE sign... and yes, everything is better with butter! Aren't you smart to use what you have to make what you want? I love your sign and your baking center is wonderful. I agree that keeping scraps is a must! First off - I love that saying...and everything is better with butter! :-) I am still drooling over your sister's baking center, it is so amazing. Great job with the scrap pieces, did you use every last bit? So amazing! 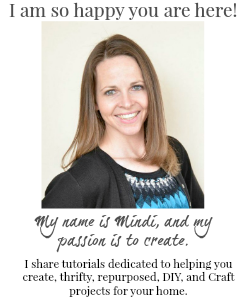 Mindi, this is so darn cute! I love that saying! The font you used are perfect as well! Great job! So cute! It really gives it a unique look Mindi! Thanks for sharing with SYC. Stunning job! Such a cute sign. 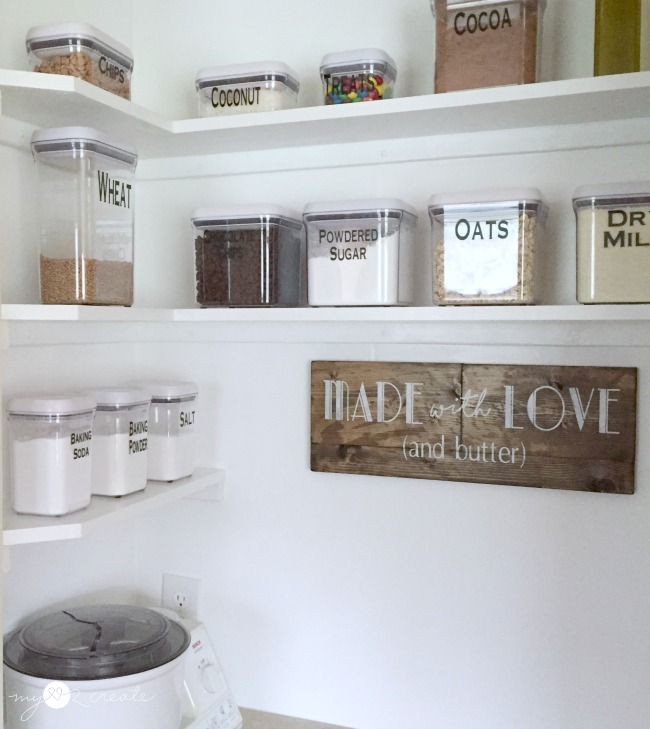 I really love your pantry! Thank you so much for sharing with us at Dishing It & Digging It! This looks so beautiful Mindi, I love it!! 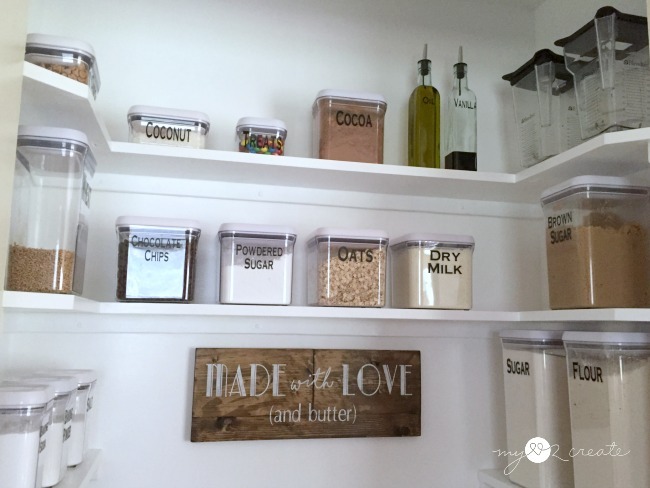 I love this, what a wonderful touch to your pantry! Thank you so much for sharing with us at our To Grandma's house we go link party! Pinned!